10 packs of 80 deck protector sleeves. 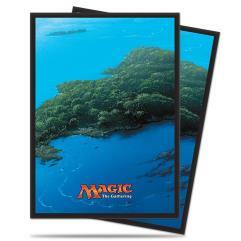 Stores and protects collectible cards! Acid Free/ No PVC Highest clarity with Magic the Gathering artwork.